One of the original team at PHAR, Ian has been with the business for over 5 years. His role has evolved from sponsorship sales and account management of a number of our key clients (such as Eden Project, David Lloyd Leisure, TfL and Manchester Arena). In his 5 years with the business Ian has brokered a number of partnerships for our clients with brands such as Kingsmill, Jaguar, Zoggs, Reebok, Asda, Halifax, Ricoh, Phones 4U and Carling. 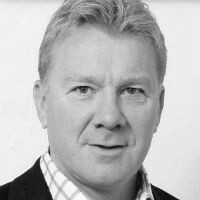 In July 2014 Ian relocated to Manchester where he set up an office for PHAR, servicing brands and rights owners in the North such as ACC Liverpool, Pure Gym, Transport for Greater Manchester, Manchester City Council, Chill Factore and The University of Manchester. Andito Prakoso joined PT Phar Indonesia in 2013. He had previously been working with broadcaster JAK TV as a Business Development manager, involved with projects like the NBA broadcast. Starting as a Sales Manager at PHAR he was exposed to the Air Asia business (digital, print and ambient media), the BeIN Sports TV channel (live European football broadcast) and then went onto to help pioneer the Pertamina petrol pumps project, managing major brands like Unilever, Yamaha, Nissan and L'Oreal. Andito now manages all the marketing and business development activities across all media divisions at Phar Indonesia. At least 7 years’ experience in media and/or sponsorship sales – in particular with experience in selling premium space and/or bespoke packages, beyond pure commodity space alone. Strong track record of creating leads and closing sales, with senior individuals at major brands. Capable both of creating strategic partnership packages and of recognising opportunities for tactical media sales. Ability to liaise with and manage relationships with multiple stakeholders. Strong interpersonal skills, able to work in collaboration with the wider PHAR team to secure deals and manage client relationships. We are looking for a digitally minded sales manager or executive to join our team in Kuala Lumpur Malaysia. The ideal candidate should have at least 5 years of sales experience, with at least 1 year of digital sales experience. Knowledge of programmatic advertising solutions is a plus.